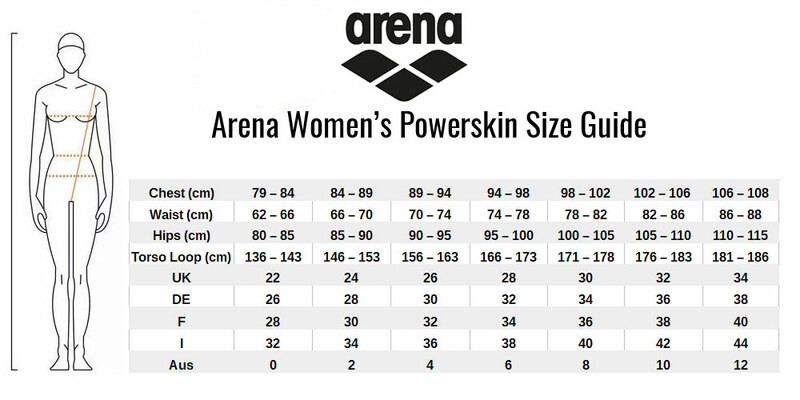 Arena's Powerskin R-EVO One is their latest racing swimsuit with cutting-edge design, proven results and top performance. The R-Evo One stands for its innovative construction with just one piece of fabric that stretches and compresses evenly for a second-skin feel. With a single bonded seam at the back, this smooth women’s competition suit ensures enhanced freedom of movement and total comfort. The ultra-lightweight fabric absorbs less water and reduces drag, improving your glide and efficiency while racing. This design covers from shoulders to above the knees and is fitted with supportive racerback straps and an open back. Plus it’s easy to put on and take off. Arena created this hydrodynamic style in a solid colour with their name printed across the front in a bright contrasting hue. With its essential design, the Powerskin R-EVO One is the simplest way to experience all the benefits of a tech suit. Arena's Powerskin R-EVO One Kneeskin in Blue and Pink is their latest racing swimsuit with cutting-edge design, proven results and top performance.